Retail energy management has been a staple of BMI for over 30 years. Managing energy in thousands of retail locations over this time has created strategies that have saved our clients millions of dollars in utilities expense. Whether it is a chain of Department Stores, Grocery Stores or Convenience Stores, BMI’s foundation was built on the retail market. From bargain basement to high-end retailers, the basics are similar throughout the industry. Focused on driving down energy usage and costs, our efforts must bind with facilities management to maintain a comfortable environment for customers and associates. 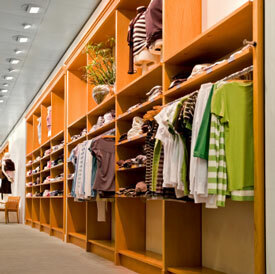 Everything in the stores is monitored to provide a comfortable shopping environment, with operational cost management. In addition, we create relationships with other cost stakeholders such as Loss Prevention, Construction, and Display to drive down utilities costs from multiple angles. This strategy creates an environment of productivity and innovation that consistently achieves goals. There are many vectors from which BMI can amplify your energy management efforts. We look forward to exploring these with you and celebrating a new level of success. Let us show you how we may be able to continuously take cost out of your energy related operations.